The premature death of front man, Shannon Hoon brought to an end what may have been a Hall of Fame career. Best known for their folksy hit, No Rain, Blind Melon scored big with their debut album in a way that was not typical of other Alternative bands of their time. 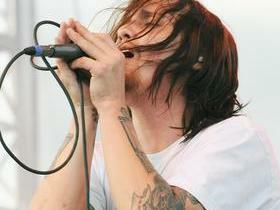 The group drew more from Classic Rock than Grunge, yet crossed over to both sets. Although their second album did not sell as well, it is unknown what Blind Melon could have accomplished had Hoon survived. It is conceivable they could have had a twenty year acclaimed career, or just as possible that they would have disbanded and never been heard from again. Sadly, we will never know. Should Blind Melon be in the Hall of Fame? Buy your Tickets to see Blind Melon at The Canyon Montclair in Montclair, CA HERE for as little as $64! Buy your Tickets to see Blind Melon at The Rose in Pasadena, CA HERE for as little as $68! Buy your Tickets to see Blind Melon at The Canyon - Agoura Hills in Agoura Hills, CA HERE for as little as $61! Buy your Tickets to see Blind Melon at The Canyon Santa Clarita in Santa Clarita, CA HERE for as little as $62!